InterBank and First Capital Bank jointly announced this past May that InterBank purchased the Guthrie and Cordell locations of First Capital Bank. The drive-thru bank recieved its new sign this past week on Division. The ownership and management of InterBank closed the banks last Friday and reopened them on Saturday, July 16, as InterBank. The new bank allows their customers to 16 new banking and drive-thru locations. InterBank’s Oklahoma President, Mike Sterkel is glad to be in Guthrie. “We’re thrilled to finally have a banking presence in Guthrie. We’ve done business with Guthrie people for years and it will be great to provide them the convenience of InterBank’s locations. I’m anxious to work with the staff of both the Guthrie and Cordell locations and help them continue to provide the high quality of customer service First Capital is known for,” Sterkel said in a press release. First Capital Bank Chairman and CEO Jack Stuteville said he knows the InterBank management team well, and is confident that they will serve Guthrie and Cordell well in the years ahead. “Nobody knows Guthrie better than Mike Sterkel. I am pleased to be able to leave the Guthrie operations in such strong hands.” Stuteville said. Stuteville said that this would allow him to focus his resources on Kingfisher. According to their website, InterBank’s holding company, Olney Bancshares of Texas, Inc., first entered the Oklahoma market in June of 2005 and recently merged its two Oklahoma and eight Texas banking charters into a single charter, InterBank. Headquartered in Oklahoma City, InterBank has assets in excess of $1.7 billion. The Guthrie office is located at 224 E. Oklahoma and the drive-thru at 110 E. Cleveland. 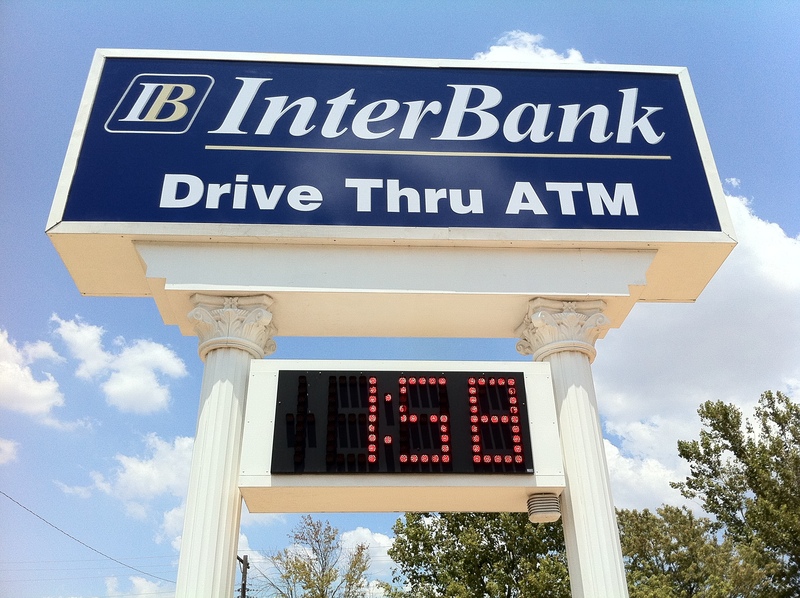 InterBank operates fifteen locations in Oklahoma communities including Oklahoma City, El Reno, Kingfisher, Hennessey, Enid, Elk City, Clinton, Hobart and Sayre, as well as 14 in Texas.